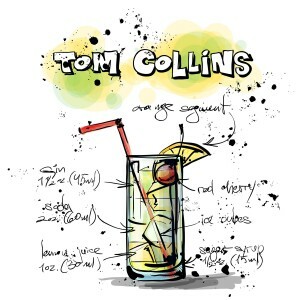 In a glass filled with ice cubes, add gin and tonic. Vodka Coffee liqueur. 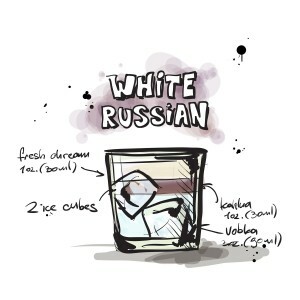 The traditional cocktail known as a Black Russian, which first appeared in 1949, becomes a White Russian with the addition of cream. 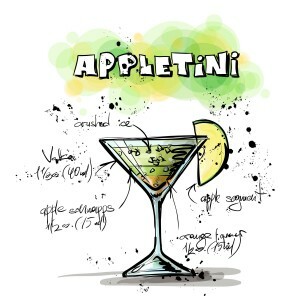 Other garnish ideas – maraschino cherry and orange slice. 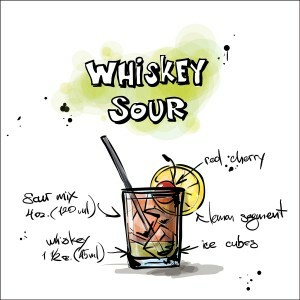 A variant of the whiskey sour is the Ward 8. 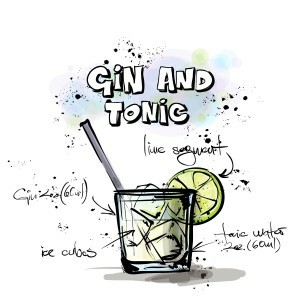 Mix the gin, lemon juice and sugar syrup in a tall glass with ice, top up with soda water, garnish and serve. 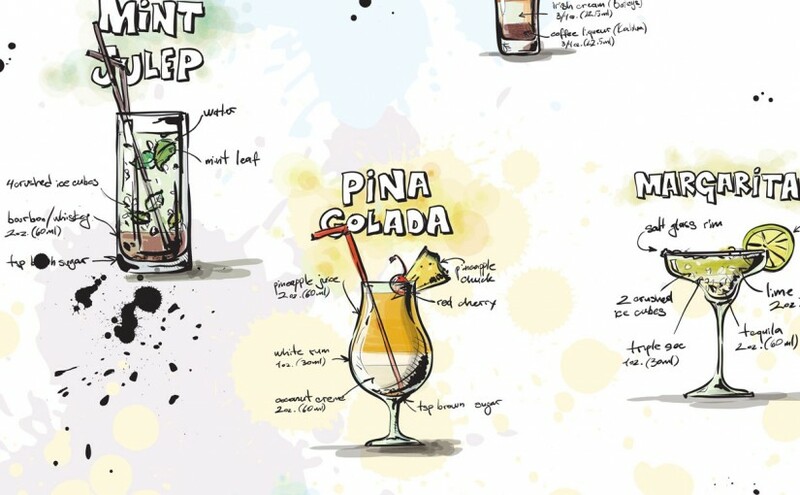 Legend has it that the mojito was Ernest Hemingway’s favorite drink! muddled with sugar and strawberry syrup. Rum added and topped with soda water. 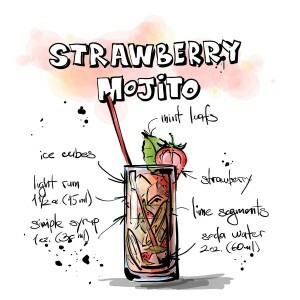 Garnished with a mint leaf as an and a fresh strawberry. Served with a straw.